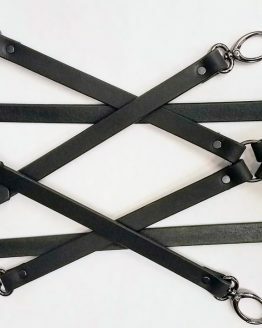 Hand Tooled Dog Collar 1.25 inch Genuine Leather With Black Color Exotic Ostrich Print Accent. 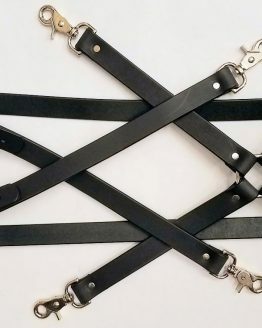 100% Genuine Leather Made in USA using 9-10 oz. 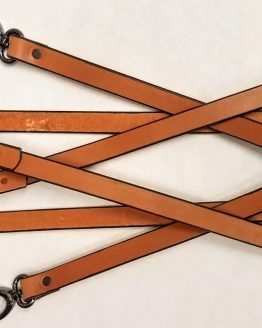 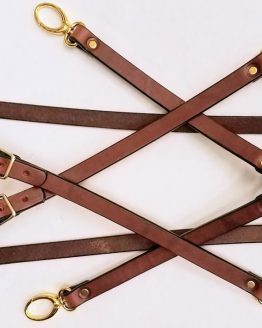 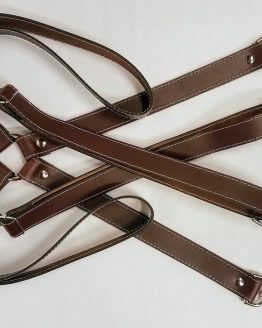 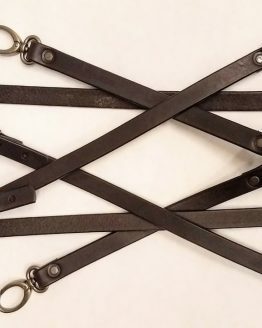 weight Bridle Leather with 2-4 oz exotic overlay accent has been used for these collars which is soft, supple and very durable. 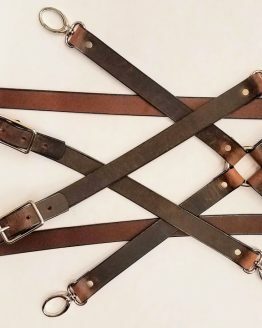 ** If you don’t see the size or width that you require, it can be special ordered. 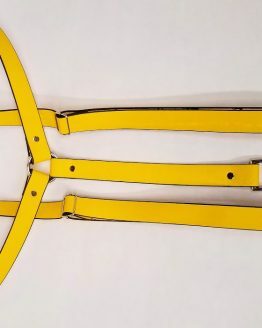 When ordering the collar, measure the neck with couple of your fingers on the inside of the measuring tape to make sure that it’s not too snug. 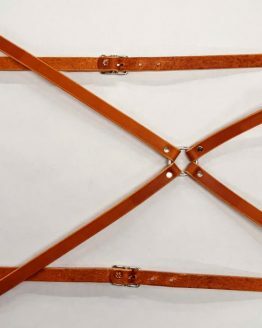 All collars come with 7 holes with your size as the middle hole which gives you 3 holes on either side. 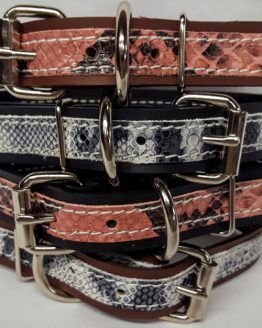 All collars will have Black Color Ostrich Accent with the 4 colors Black, Havana, Chestnut and London Tan.